Steve Jobs was deeply proud of the iMac G3, even to the point of cuddling one for a spread in a 1998 issue of Newsweek. He looks happy in the shot, but he couldn’t have been too comfortable. 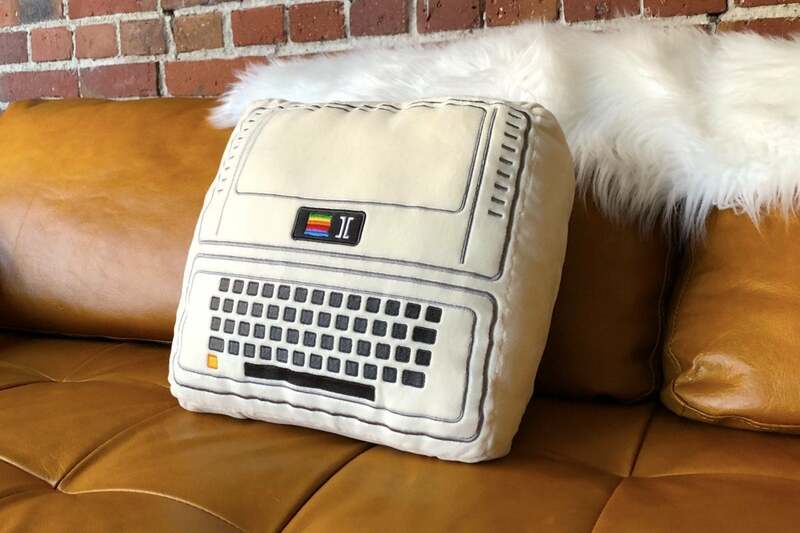 In fact, at home, he might have preferred cozying up the plush pillow version of the device that’s now on Kickstarter as part of the Iconic Pillow Collection from Throwboy, along with pillow versions of some of Apple’s (and Jobs’) other greatest hits. But note the “iconic.” Throwboy is careful to avoid the wrath of Apple’s sharks: The word “Apple” doesn’t appear anywhere on the Kickstarter page and Jobs is referred to only as the “most prolific co-founder/CEO of our time.” On the pillows themselves, you’ll simply find an embroidered pillow outline where you’d normally expect to find a scrap of barely eaten fruit. The “Pillow II” still has kind of a nice ring to it. But it’s a testament to the strength of Apple’s design that there’s no need for specificity. Indeed, from across the room, the pillows are as recognizable as family. On the left, there’s the Apple II and the Macintosh. On the right, we have the fruits of Jobs’ return to Apple: the iMac G3, the iPod, and the 2007 iPhone. Think you spend too much time on your iPhone? Well, kids, now you can sleep on one. 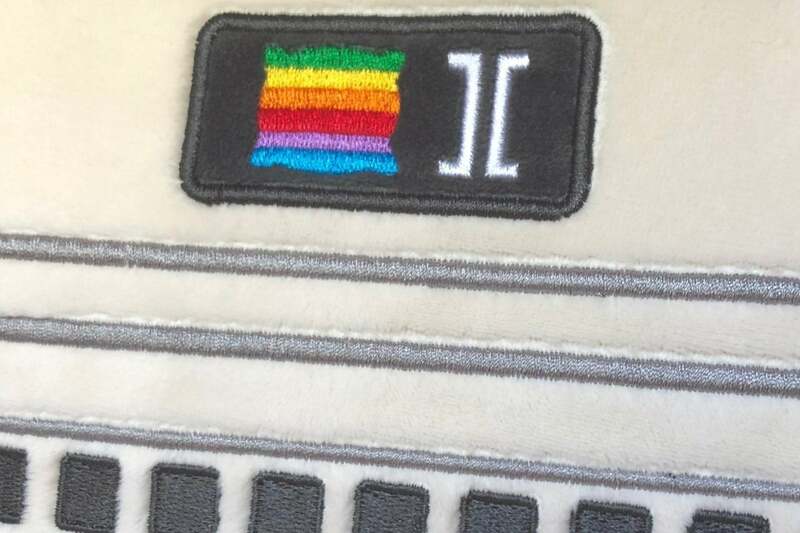 Apple itself might appreciate attention to detail that went into the design, whether it’s the 100 percent vegan fine-grain plush, the satin stitch embroidery, or even how gracefully the pillow logo works with the set. With early bird pricing, the pillows range from $27 for one pillow to $165 for all five. Items are expected to ship in January of 2019 (or February, if you miss the early pricing). Our kind of pillow talk. Roberto Hoyos, the man behind project, tells me he wasn’t really an Apple fan in his teens. Even so, it didn’t take him long to get hooked. His latest project is meant both to celebrate Apple’s products and 10 years of business at Throwboy. 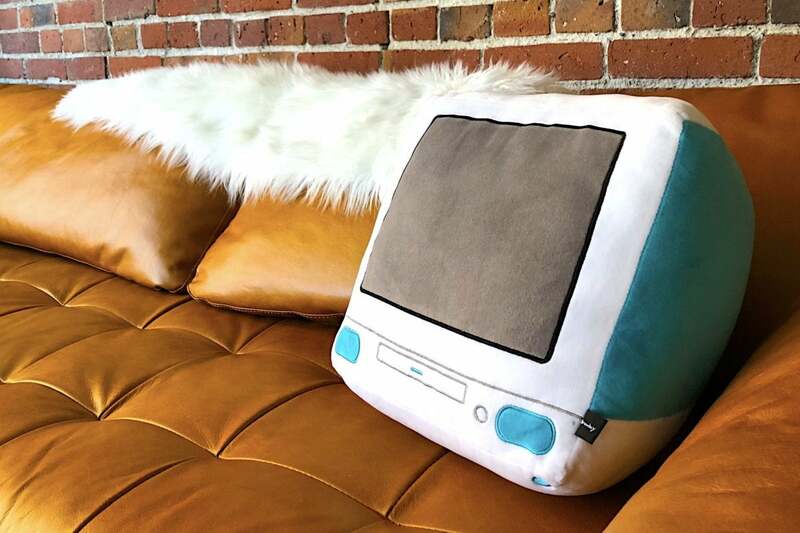 There’s a chance you’ve seen Throwboy’s stuff before, as the company has made a name for itself through its emoji pillows (right down to the poop) and even pillows for the Apple icons for Safari, Finder, and iTunes. In fact, Throwboy has even worked in direct collaboration with the likes of Twitter, Microsoft, Patreon, Netflix, and Google. Naturally, Apple would be the one that doesn’t play along. Too bad it doesn’t play Karateka. I ask Hoyos about this, and he emphasizes Apple’s current strengths in iterative improvements rather than great leaps forward. 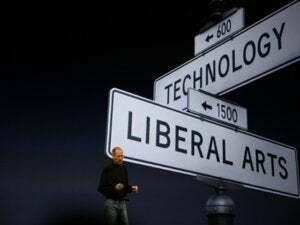 That doesn’t mean that his admiration for Apple itself has diminished. To judge from what I’ve seen of the Iconic Pillow Collection, that inspiration carries over to his own pillows. Lucky for us.